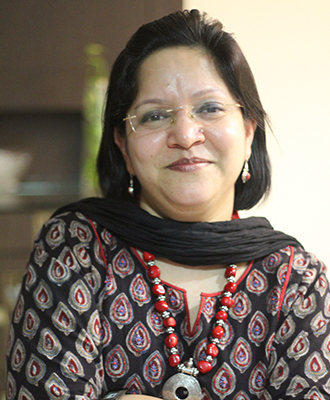 Deepali has over 20 years of experience in marketing, e-commerce, brand, product, and sales. Selected amongst the ‘50 Most Talented Brand Leaders of India’ by the World Brand Congress, she is a vibrant speaker who has been invited by prominent technology and digital forums, both nationally and internationally; including India Digital Summit, Ad-Tech, I-Media, CeBIT, and DMAi, to name a few. A leading professional in her line, Deepali talks about the networking essentials for women leaders, the digital success roadmap for organisations and the typical journey of a brand in the digital world. Deepali has not only received accolades such as the ‘Content Marketer of the Year’ award by DMAi but has also been a jury member for several similar award events and platforms. She has held leadership positions for top corporate brands like Mahindra, L&T, Tata, Saffola, HSBC and more. She currently leads the brand, marketing and digital practice for the IIFL Investment Manager Group of companies.